A screaming start to last weeks iconic PIC Insurance Brokers Coastal Classic​ yacht race! Published Oct 27, 2016 by America's Cup challenger ETNZ - Emirates Team New Zealand. America's Cup, June 2017 - AC35 in Bermuda - The America's Cup is without a doubt the most difficult trophy in sport to win. In the more than 150 years since the first race off England, only four nations have won the "oldest trophy in international sport." Following a profitable race period among the Bermuda based America's Cup teams, Oracle Team USA skipper Jimmy Spithill says the level is rising and each team is improving. Video published Oct 21, 2016 by Oracle Team USA. Bermuda is both honoured and proud to be selected to host the 35th America’s Cup in June, 2017. Being the home of the America’s Cup is an extraordinary opportunity that aligns perfectly with the heritage, profile, spirit and future of our island. 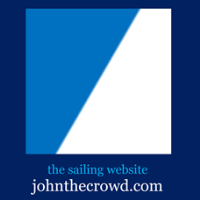 Our Great Sound just might be the best sailing venue on the planet, mixing a steady ocean breeze with protected waters that are flat and fast. It is as if the America’s Cup catamarans and Bermuda were pre-destined to converge at this point in history. The video above showcasing Bermuda as a sailing venue, was co-produced by LookBermuda | LookFilms and Shooter & Scribe Productions for the Bermuda Tourism Authority. Stock footage is from the LookBermuda film archive, the naration is by Glenn Jones, the music by Felix Tod and the digital renderings by Onsite Engineering. It also includes recent Newport to Bermuda sailing footage filmed by a collective of Bermuda Production Companies including teams from LookBermuda, Shooter & Scribe and Bermuda Aerial Media that was pulled together by LookBermuda. The sporting world will be focused on Bermuda next June (2017) when the waters of the Great Sound host defending champion Oracle Team USA against the winner of the Louis Vuitton Challenger Series in the 35th edition of the America's Cup, the world's oldest sporting trophy. Bermuda, a British island territory of 181 islands in the North Atlantic, is spending $77 million on the event, which includes the $15 million sponsorship fee, $25 million on infrastructure improvements and new facilities such as the event village at the Royal Naval Dockyard built on a nine acre plot of reclaimed land, and $12 million in operating costs. Bermuda also had to underwrite a $25 million guarantee against commercial sponsorship. Organizers estimate the economic benefit of hosting may be as high as $250 million, which will be generated by competing teams moving to Bermuda, additional visitors before and during the Cup, media exposure and big-spending superyacht owners visiting Bermuda. "We see the America's Cup as a bridge to new opportunity, a reset of the way Bermuda is viewed as a tourism, event and first world jurisdiction"--Michael Winfield, chief executive of America's Cup Bermuda (ACBDA) which is organizing the event, in Can the America's Cup revive island paradise? | CNN.com. It’s black to the future as Steinlager return as a sponsor to Emirates Team New Zealand for the 35th America’s Cup challenge in Bermuda in 2017. “Steinlager is one of those legacy brands that is synonymous with not only sailing, but successful sailing in New Zealand, so to have them back onboard as a sponsor is really special,” explained Emirates Team New Zealand CEO Grant Dalton. Video published Oct 17, 2016. The story behind the Clipper Round the World Yacht Race, founded by legendary sailor Sir Robin Knox-Johnston, as we celebrating 20 incredible years of the world's greatest ocean race. Published Oct 16, 2016. Around the planet alone, 24,000 miles with no stops and no outside assistance, - offshore racing doesn’t come any harder. Take a look at the 2016/17 Vendée Globe race ahead of the start in November. Plus, how an American President inspired generations of match racing sailors, the high octane racing scene at the TP52 Worlds and World Sailing’s CEO Andy Hunt gives an exclusive view on the road to Tokyo 2020. Published Oct 24, 2016. To come from a small state of Tasmania and to have the privilege of sailing with the King of Thailand, one has to ask oneself, 'How did I get here? Vendée Globe 2016 starts November 6th: The Vendée Globe is still the only non-stop solo round the world race without assistance. 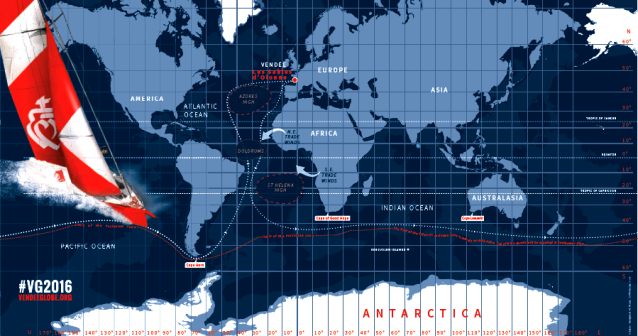 The event was created in the spirit of the Golden Globe, which was in 1968 the first non-stop solo round the world race via the three capes (Good Hope, Leeuwin and the Horn). Out of the nine pioneers, who set sail in 1968, only one made it back to Falmouth on 6th April 1969 after 313 days at sea, the British sailor, Robin Knox-Johnston. Sir Robin Knox-Johnston thus became the first sailor to sail alone around the world without stopping. The eighth Vendée Globe will set sail from les Sables d’Olonne on Sunday 6th November 2016. The start of the Rolex Middle Sea Race in Valletta’s Grand Harbour in Malta is marked by the firing of cannons from the bastions of the city. This 608-nautical-mile offshore race follows one of the most scenic courses in the world, passing through the Strait of Messina, around Stromboli’s volcanic shores, and on to the Aeolian and Egadi Islands, as well as Pantelleria before returning to Malta for a spectacular finish. The race through this stunning backdrop in often changeable conditions is considered a true challenge for skippers and crews. Video above published Oct 14, 2016. 29 Oct 2016: Rolex Middle Sea Race 2016 Prize Giving - The historic Mediterranean Conference Centre & Hall situated in Valletta, is the venue for the Prize Giving Ceremony. Rolex Middle Sea Race is organized by the Royal Malta Yacht Club - http://www.rmyc.org/. The crash of Team Vestas Wind, Volvo Ocean Race 2014/2015, on a reef near Mauritius, live from onboard camera - first pics powered by http://www.Yachtfernsehen.com. Video published Dec 4, 2014. Brian Carlin gives us exclusive insight into what life was like onboard Team Vestas during one of the most dramatic sailing crashes of last year. Re-live the most talked about moment of Volvo Ocean Race 2014-15 with the man who lived, captured and reported it there and then. Published July 8, 2015. Lisbon dished out some of the most exhilarating racing seen so far this year, with the fleet hitting speeds of more than 35 knots on the penultimate day. Catch up on some of the best moments from the Portuguese Act in the video above. Published on Oct 9, 2016. Researchers explored the wrecks of a German U-boat and the ship it sank during a World War II convoy off the coast of North Carolina in 1942. Video published Oct 5, 2016. Published Oct 10, 2016 by ExtremeSailingSeries.com: "We are thrilled to announce a return to the Americas for the first time in six years in 2017 in what promises to be another action-packed year with two new venues." The Extreme Sailing Series™ heads to the Americas as the 2017 calendar is revealed: "The Extreme Sailing Series™, the world’s leading Stadium Racing series, will return to the Americas for the first time in six years in 2017 in what promises to be another action-packed season. After a hugely successful transition to foiling catamarans in 2016 - with the introduction of the super-fast and super-exciting GC32s – the Extreme Sailing Series is now adding two new venues to its roster for its 11th season. "Alongside existing host venues of Muscat, Qingdao, Madeira, Hamburg and Cardiff, the Series is now set to visit San Diego in California and Los Cabos in Mexico. Andy Tourell, Event Director of the Extreme Sailing Series, confirmed the new venues at a press conference hosted by the Pestana Hotel Group in Lisbon October 10, 2016. What is an AC45F foiling catamaran? Land Rover BAR grinder Freddie Carr explains the Louis Vuitton America's Cup World Series AC45 foiling catamaran. Published July 21, 2016. See also After a Serious Injury, Leading French Sailor Franck Cammas Is Back | The New York Times: "Because of the injury, his 2016 Olympic campaign was over. But his 2017 America’s Cup campaign was still a possibility, and last month — after months of rehabilitation — he returned to competition with Groupama Team France in the Louis Vuitton America’s Cup World Series" and America's Cup 2017: Will mind or machine win the day? - CNN.com. In this episode Adam May provides an insight into the new generation of wing sails, and we meet one of the team's top athletes, Chris Brittle. An exclusive behind the scenes insight into what it takes to mount a challenge and compete in the 35th America's Cup. Follow Artemis Racing over 11 episodes in 2016 as the team prepares to win the oldest and most prestigious trophy in international sport. Published Sep 21, 2016. Onboard J Class Velsheda at Les Voiles de St Tropez, 2016. Published Oct 6, 2016. ORACLE TEAM USA videographer Sam Greenfield collects extreme hurricane footage from the team to show the experience in Bermuda with Hurricane Nicole. Video by Sam Greenfield / copyright ORACLE TEAM USA. Video above published Oct 14, 2016. Published on Jul 25, 2013: Nautical Channel team was at the scene when the tall-ship Astrid sank after hitting the rocks off the coast of Cork, Ireland. US Coast Guard rescues mariner from sailing vessel near San Miguel Island: The U.S. Coast Guard rescued a sailor near San Miguel Island Thursday, September 22, 2016. The Coast Guard received a notification via a Emergency Position Indicating Radio Beacon (EPIRB) device that provided a position just northwest of San Miguel Island. A Coast Guard MH-65 Dolphin helicopter crew from Forward Operating Base Point Mugu was sent to search the last known position of the EPIRB and located a 23-foot sailing vessel. The helicopter crew lowered a hand-held radio down to the individual aboard. The boater confirmed he was in distress after reporting that his anchor was not holding in the 8-10 foot seas, his mast was broken and had no engine to make way. The helicopter crew safely hoisted the individual and transferred him to Forward Operating Base Point Mugu where he was reported to be in good condition. An Emergency Position Indicating Radio Beacon or EPIRB is used to alert search and rescue services in the event of an emergency. It does this by transmitting a coded message on the 406 MHz distress frequency via satellite to the nearest rescue coordination center. Teenagers write off millionaire daddy's yacht in French Riviera | Metro News: "The Coast Guard added that the accident was caused by the teenagers’ amateurism. Lucas’ father, who is a rich industrialist from Belgium, owns a large estate in Port Grimaud, near St. Tropez. His yacht, which was built in 2009 and weighs 30 tonnes and cost £1.2m, reportedly cannot be salvaged and will likely end up in the scrapyard." Marlins ace Jose Fernandez killed in boating accident | usatoday.com: "Fernandez was killed as a result of the impact of the crash, and did not drown, Lorenzo Veloz, an official with the Florida Wildlife Commission, confirmed to USA TODAY Sports. The boat carrying Fernandez and two others was traveling at a significant speed when it struck rocks. A Coast Guard crew left the Miami station for a law enforcement patrol when it found the 32-foot boat overturned on a jetty around 3:30 a.m. Sunday, said Chief Nyxolyno Cangemi." Published on Sep 26, 2016: The two-time all-star's boat smashed into a rock jetty early Sunday morning, killing him and two others. Bermuda to a Tropical Storm Warning. farther away from Bermuda this evening. winds of 37 mph (59 km/h) and a wind gust of 55 mph (89 km/h). surge should subside this evening. RAINFALL: Rainfall on Bermuda should diminish this evening. Bermuda is a British Overseas Territory in the North Atlantic Ocean, off the east shore of North America about 1,070 km (665 mi) east-southeast of Cape Hatteras, North Carolina, 1,236 km (768 mi) south of Cape Sable Island, Canada, and 1,578 km (981 mi) north of San Juan, Puerto Rico and lies 1,544 km (959 mi) north of Road Town, British Virgin Islands. The capital city is Hamilton. On the morning of October 13, 2016, Category 3 (120 mph winds) Hurricane Nicole struck Bermuda as captured in the three satellite views below (Bermuda's approximate location is shown in pink in each satellite view). Bermuda is a popular sailing destination and venue, serving as the site of the 2017 America's Cup sailing regatta. over or near Bermuda later this morning. force winds extend outward up to 160 miles (260 km). Hurricane Hunter aircraft is 950 mb (28.06 inches). morning, with tropical storm conditions expected to begin soon. of 4 to 8 inches over Bermuda through this evening. east coast from the Carolinas northward through the next few days. These swells will create dangerous surf conditions and rip currents. Published Oct 12, 2016: Hurricane Nicole is bearing down on Bermuda, expected to make landfall on Thursday morning as a Category 2 hurricane. America's Cup ORACLE TEAM USA began work on Tuesday to secure its base in Bermuda, venue for the next America's Cup Sailing Regatta in 2017. Bermuda Weather Service [weather.bm]: "A HURRICANE WARNING IS IN EFFECT** Hurricane Nicole is expected to pass overhead during Thursday as a Strong Category 2 hurricane. Ahead of Nicole, expect hazardous conditions including strong winds, heavy rain, thunderstorms, dangerous surf & rip currents with swells building 6 to 8 feet on top of very high and dangerous seas. Tropical storm force winds arrive later this evening and hurricane force winds towards dawn Thursday, lasting into evening." We wish all of our friends in Bermuda a safe couple of days as the storm passes. Bart's Bash in Bermuda - the world's largest celebration of sailing, in honor of Andrew 'Bart' Simpson, a friend and mentor to so many in the America's Cup family. Video published Sep 18, 2016. Published Oct 16, 2016: The nail-biting final day of racing at the EGNOS 52 SUPER SERIES Cascais Cup. Quantum Racing Crowned 2016 Champions--52SUPER SERIES.com: "Winners of four of the five regattas this season, Quantum Racing were crowned 2016 52 SUPER SERIES champions in Cascais, Portugal on Saturday evening. 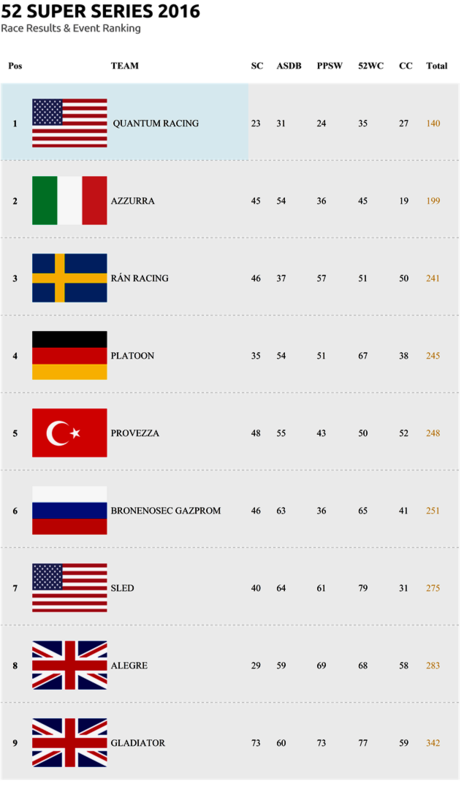 The American-flagged team – who has also won the circuit in 2013 and 2014 – secured their third 52 SUPER SERIES title on Thursday with two days to spare, finishing Saturday with an overall aggregate of 140 points after 45 races contested in Scarlino (Tuscany), Porto Cervo (Sardinia), Puerto Portals (Mallorca), Mahón (Menorca) and Cascais (Portugal)." Video above published Oct 14, 2016. Full recap here. Quantum Racing Seals 2016 52 SUPER SERIES Title--52SuperSeries.com: Thursday 13th October, Cascais – Quantum Racing sealed the 2016 52 SUPER SERIES title when they crossed the finish line of the fourth race of the EGNOS 52 SUPER SERIES Cascais Cup winning the overall season with two days of racing still to be completed. Published Oct 13, 2016: Some of the worst weather we've seen in the whole five years of the circuit! A breathtaking final day, with individual battles all over the race course. Next stop: Cascais for the EGNOS 52 SUPER SERIES Cascais Cup 2016. Stay tuned. Racing starts again on 11th October. It was three years on September 25, 2013, when ORACLE TEAM USA defeated Emirates Team New Zealand to win the 34th America's Cup. ORACLE TEAM USA had to win the final eight races to take the series 9-8, securing one of the great comebacks in sporting history: "It's a special day for the team," says skipper Jimmy Spithill. "Those boats are the reason we're here now pushing the limit." Video published Sep 25, 2016 by ORACLE TEAM USA / Javier Salinas. The most emotional story of the Olympics, to how two America's Cup teams have achieved the impossible, along with how a new Grand Prix machine is taking the racing scene by storm and much more, this show is bursting at the seams. Published Sep 26, 2016. World Sailing: sailing.org - The Official Website of the World Sailing (formerly ISAF), the world governing body for the sport of sailing. An impressive and eclectic fleet of 125 yachts graced a memorable edition of the Rolex Swan Cup from 11-18 September. This year marks the 50th anniversary of the launch of the first Nautor’s Swan yacht and fittingly, the 19th edition of this biennial event perfectly showcased both sailing heritage and tradition and, in parallel, progress and evolution. Four days of racing were organised by the Yacht Club Costa Smeralda (YCCS) and held on the waters off Porto Cervo, Sardinia with the week’s six class winners receiving coveted Rolex timepieces for their outstanding achievements. The triumphant class winners were: Freya (Maxi), Arobas (Mini Maxi), Music (Grand Prix), Sleeper X (Sparkman & Stephens), Natalia (ClubSwan 42) and Elena Nova (Swan 45 World Championship). Video above published Sep 18, 2016. From modern day superyachts to classic designs, one-design to custom built, cutting-edge to vintage, the record-breaking 2016 Rolex Swan Cup fleet encompasses a vast cross-section of yachting heritage. The 36 yachts competing in the Sparkman & Stephens class include some of those which graced the very first Rolex Swan Cup events in the 1980s. Their enduring appeal is a tribute to the then innovativeness of their design and quality of their construction. In the hands of passionate owners they are lovingly maintained to preserve the heritage and traditions they embody, not as museum pieces but as the sea-kindly craft they were designed to be. On the water, the third day of racing was completed at the Rolex Swan Cup with competition intensifying in all six classes. Video above published Sep 16, 2016. The Maxi Yacht Rolex Cup is one of yachting’s most revered and celebrated competitions. The 2016 edition was no exception, with the largest fleet of Maxi yachts since the race was first held in 1980. Sardinia’s coast provided a stunning setting and a variety of challenging conditions for this highly anticipated annual event -- the brainchild of the Yacht Club Costa Smeralda and its President, the Aga Khan. Majestic yachts, precision teamwork, intense competition and Corinthian camaraderie contributed to the success of the 27th Maxi Yacht Rolex Cup. Always the highlight, the final award ceremony saw class winners receive Rolex timepieces, the true reward for yachting excellence. Video above published September 30, 2016.